Sometimes you will receive zipped files attached to emails. 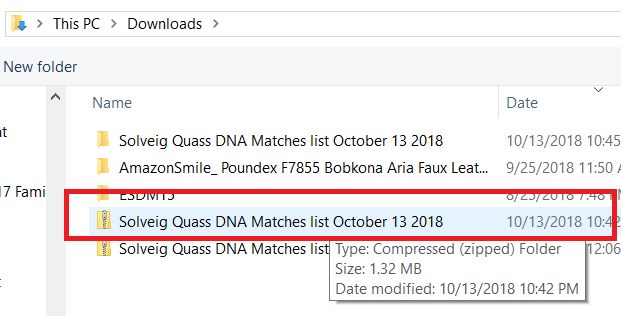 Here is the zip file from MyHeritage attached in my email. Click on the download button and note where it is stored on your computer. Look for the zipped file in your export file. Double click on the zipped file. 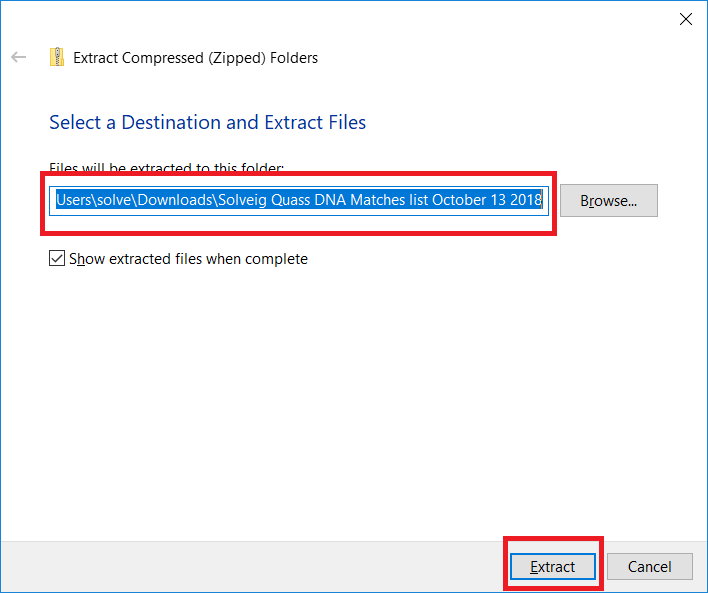 Select a destination for your unzipped file and click on extract. Go to the destination folder and look for the folder. Double click on the folder. Here is the CSV file. It is ready to be imported to RootsFinder.